What doesn’t your car insurance cover? Has someone ever stolen something out of your car? Or, have you ever totaled a car you were still making payments on? Don’t get yourself in a position where you expected your car insurance to cover you! Knowing the ins-and-outs of your car insurance can become complicated, but Chastain Otis is here to help. Here are four surprising things your car insurance might not cover. More than 2,000 motor vehicle thefts on average occur in the U.S. every day, according to the FBI. If you’re dealing with a smash-and-grab beak-in, for instance, your coverage would pay to repair your broken window (minus your deductible) but would not reimburse you for the items taken from inside. Your best bet is to always lock your car doors and try to never leave valuables in your car. If you do, the safest place for them is in the trunk, out of sight. If you file a police report, your homeowners and renters insurance could cover the items stolen from your car. That is, after the deductible of course. Do you own a specialty car, motorcycle, or motor home? Standard auto insurance is probably not covering you. If you have add-ons, specialty parts, labor in a restoration body shop, this could be valuable to you that your policy is not protecting. You may need specialty insurance to stay protected. Wheelchair lifts and other modifications for those with disabilities. Also, collector’s vehicles are actually appreciating in value, rather than depreciating like most cars. You would want specialty insurance as a collector because the insurance provider and the insured agree on the vehicles value and is guaranteed in the event of a total loss. 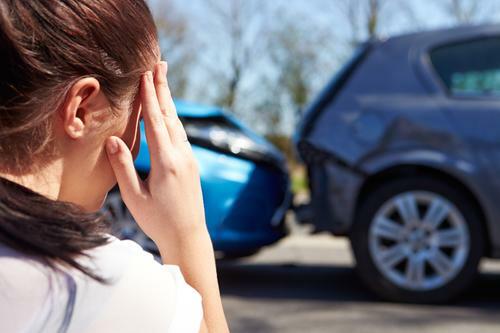 Accidents do happen, and if your car is totaled, you may think you’re covered. Unfortunately, if you total a financed car, that may not be the case. If this happens to you, the insurance company would issue a check for the car’s market value, minus your deductible. Due to depreciation, the payout could be lower than the amount you owe on a car loan. This is common if you made a small down payment and have made less than three years of payments on the loan. You can get gap insurance to cover the difference. You can buy a policy through your car insurance agent at Chastain Otis. You may also be required to have gap insurance if you lease a car. The dealership usually provides the coverage and the cost is included in your lease. Standard auto insurance covers your commute, but not other business uses. Delivering products and transporting people for money are excluded under standard personal policies. This means your car insurance can decline to cover any damage you cause or receive while using your car for business. In the worst case scenario, you could have a big claim and coverage is denied because of the business use exclusion. If you use your car for work, ask your employer when and how much coverage you receive under the company’s policy. If you employer doesn’t cover your car, or you are self-employed, ask your car insurance agent about commercial auto coverage. I guarantee your car insurance doesn’t cover everything. However, there are different policies you can get to cover the gaps. Contact Chastain Otis Insurance and Financial Services today with questions on how we can make your policy more personal.